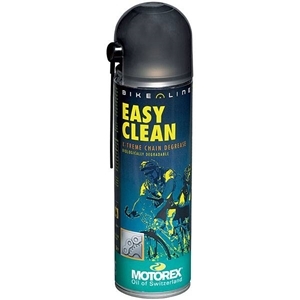 Spray cleaner on chain and derailleur. Allow to penetrate. Depending on the amount of dirt, clean with a brush or rag. 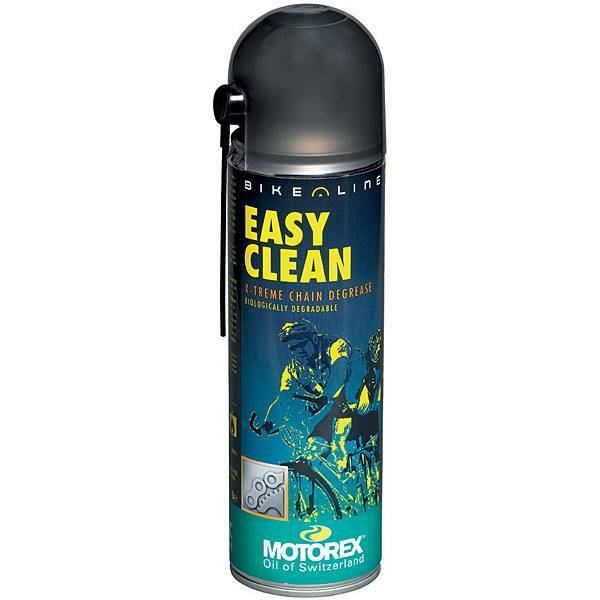 Relubricate cleaned parts with MOTOREX DRY LUBE or WET LUBE after cleaning, as the cleaner has a very strong degreasing effect.